The Brocade Vyatta 5400 vRouter enables organizations to build sophisticated, multitier networks within virtualized environments—adding, configuring, and moving network services on-demand. Our virtual router provides advanced routing and security functionality for physical, virtual, and cloud networking environments. The Brocade Vyatta 5400 vRouter delivers advanced routing for physical, virtual, and cloud networking environments. It includes dynamic routing, Policy-Based Routing (PBR), stateful firewall, VPN support, and traffic management in a platform that is optimized for virtualized environments. The Brocade Vyatta 5400 vRouter supports all major hypervisors and can be installed on any standard x86-based system. Advancements in x86 processing power have proved that readily available multicore systems can easily handle small packet processing up to 10 Gbps. Scalability: By offering a software-only option, Brocade gives organizations the flexibility to right-size their networks and achieve the required performance using readily available, off-the-shelf components and systems. The Brocade Vyatta vRouter can function as a virtual router, virtual firewall, or virtual VPN gateway, allowing organizations to build sophisticated, agile, secure multitier networks in a fraction of the time—and for a fraction of the cost—of traditional hardware-centric strategies. As a result, organizations can provision, configure, and change their networks with the agility of software. At the core of the Brocade Vyatta 5400 vRouter is a sophisticated routing engine with full support of IPv4 and IPv6 dynamic routing protocols (BGP Multipath, OSPF, RIP, Multicast) and multiple tunneling protocols. The platform also includes support for 802.11 wireless, Serial WAN Interfaces, and a wide variety of Ethernet interface support for 10/100/1000 Mbps and 10 Gbps through 10 Gigabit Ethernet (GbE) NICs. The Brocade Vyatta 5400 vRouter features IPv4/IPv6 stateful packet inspection to intercept and inspect network activity and protect critical data. Brocade offers one of the most advanced virtual firewalls available, with capabilities that include stateful failover, zone- and time-based firewalling, and peer-to-peer filtering. Brocade 5400 Vyatta vRouters are the only software-based routing and security solution with proven IPv6 functionality and interoperability, ensuring a simplified migration path from IPv4 to IPv6 and a future-proof investment. Brocade Vyatta 5400 vRouters can be managed through a familiar network-centric Command Line Interface (CLI), a Web-based GUI, or external management systems using the Brocade Vyatta Remote Access API. 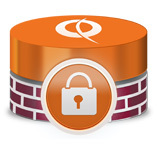 All network management sessions can be securely managed using SSHv2, RADIUS, or TACACS+. Brocade Vyatta 5400 vRouters provide complete logging and diagnostics information that can be monitored using industry-standard tools such as SNMP, Netflow, sFlow, Syslog, Wireshark, and more. Organizations can establish secure site-to-site VPN tunnels with a standards-based IPsec VPN between two or more Brocade Vyatta vRouters or any IPsec VPN gateway. The Brocade Vyatta 5400 vRouters also provide network access to remote users via SSL-based OpenVPN functionality with a dynamic client installation for multiple operating systems (OS’s). In addition, they support Dynamic Multipoint VPN (DMVPN) and the ability to represent policy-based IPsec tunnels as virtual interfaces (Virtual Tunnel Interface, or VTI). Brocade Vyatta 5400 vRouters provide a wide variety of QoS-queuing mechanisms that can be applied to inbound and outbound traffic for identifying and prioritizing applications and traffic flows. Mission-critical networks can deploy Brocade Vyatta 5400 vRouters with confidence, knowing that industry-standard failover and configuration synchronization mechanisms will provide high availability and system redundancy. The Brocade Vyatta 5400 vRouter operates seamlessly under the Brocade Vyatta Controller. This controller is a quality-assured edition of the OpenDaylight controller code supported by an established networking provider and its leaders within the OpenDaylight community.